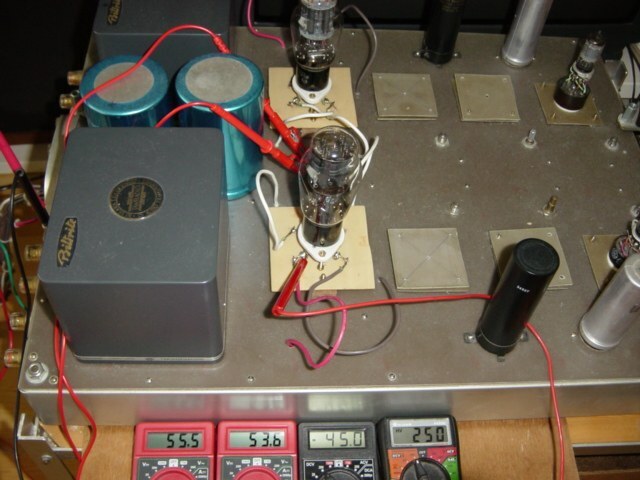 I tested hundreds of tubes such as 245, 2A3, 250 ,171A ,226 , 227 , 6V6 , 7027 EL156 , 350B etc. 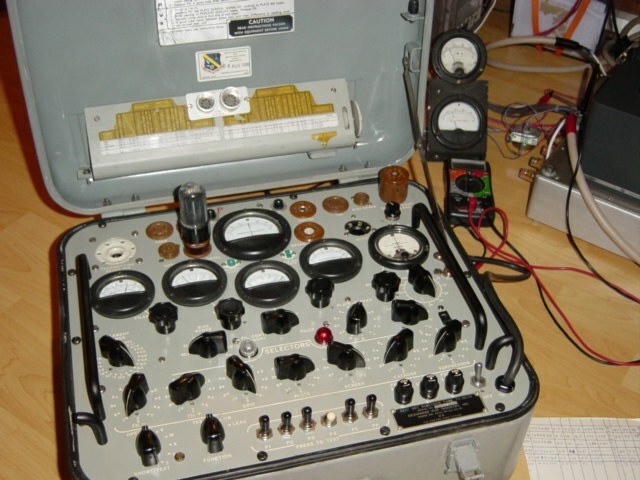 And I would like to share my experience, tube testing is aimed for the percentage life of a tube we want to know. The extent of understanding to the test results greatly depends on how much we know about the tube spends its life and in what way it gets old. 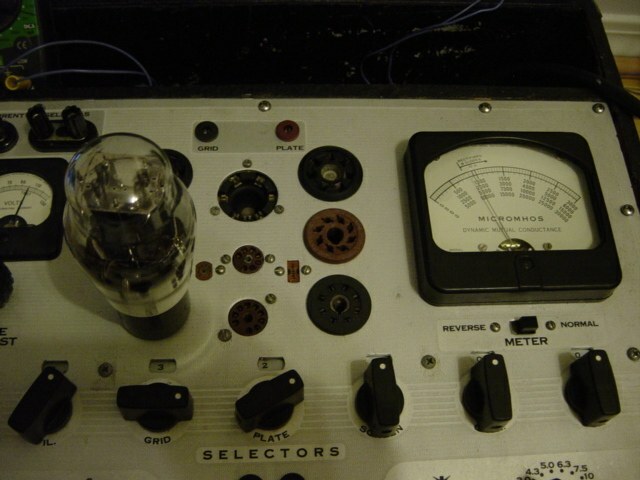 To make it simple, I would use an RCA UX 245 triode as an example because RCA quality is recognized and typical. 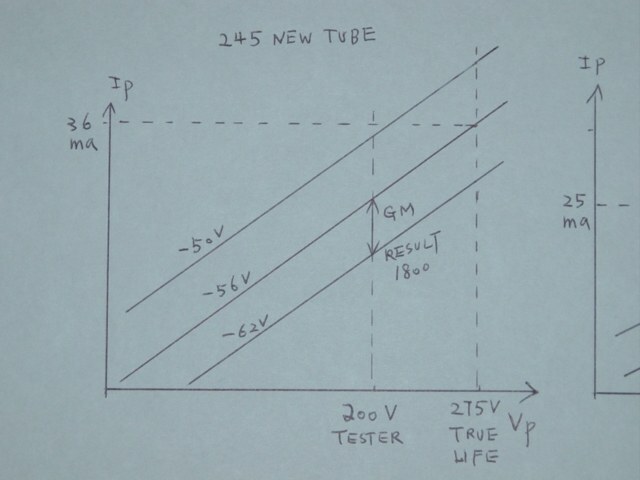 For a new tube, the emission is strong as 100% and the characteristic curve is straight so the dynamic mutual conductance (GM=1800) and static plate current under given condition (Ip=36ma @Vp=275V, Vg=-56V) both will match the tube manual figure. 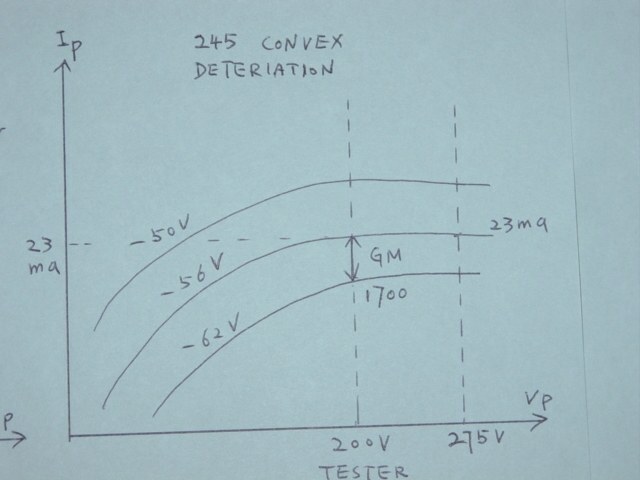 Please note GM reading by the tester is taken at Vp Max 200V and static Ip test is taking at Vp 275V(see picture below). Linear curve weakening – the ideal case the emission weaken evenly among the whole graphic. 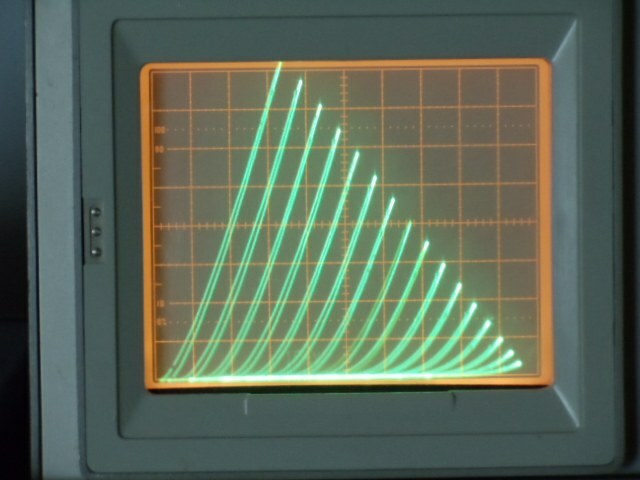 Convex curve deterioration – the degree of weakening less serious in low voltage (tester test voltage) and more serious in high voltage (manual suggest true life working voltage). 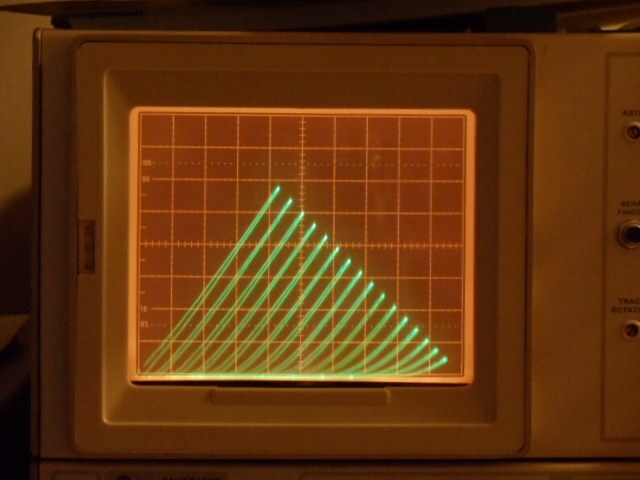 25ma and 1260 µmho(see picture below). The example of convex curve deterioration static current dropped to 3% (23ma) but GM maintained at 94% (1700 µmho). In this case, tester reading is strong but true life working power weak (please note this is intentionally exaggerated to clearly show the situation while the true case is in a similar manner). Please see picture below. 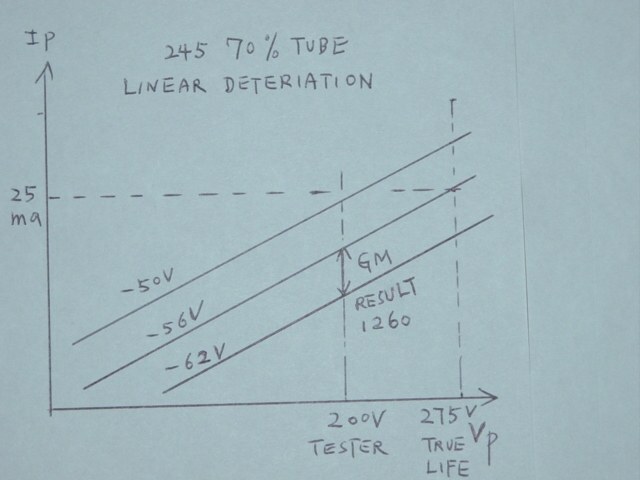 New tube and 70% linear drop side by side compare, please see the picture. 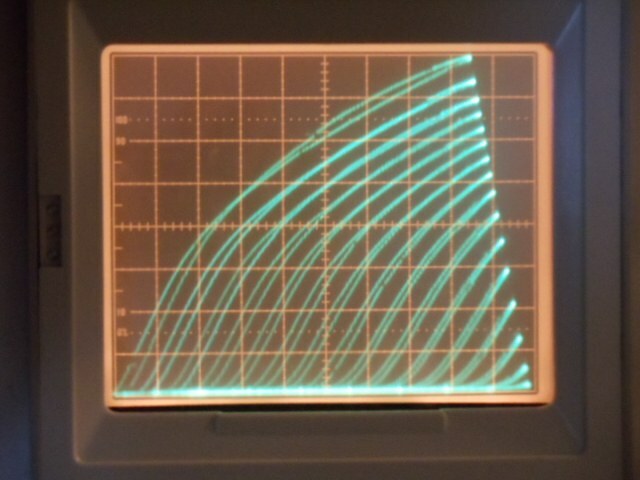 70% tube curve still works fine in a linear manner. Convex curve, out of linear. 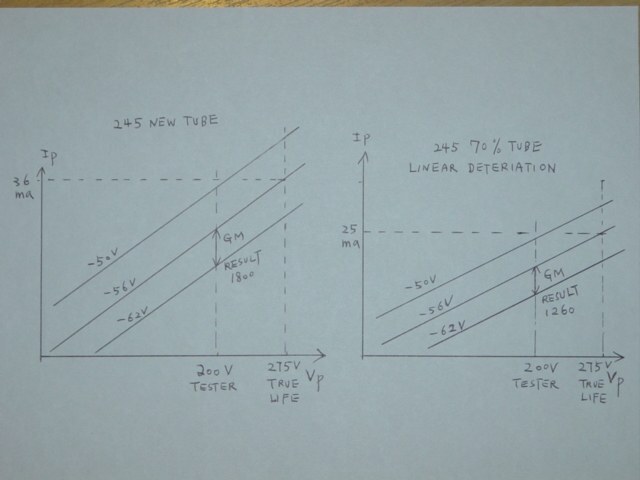 From my experience, linear weakening shares 60% and convex curve deterioration is common to take 40% and the tester result is beautiful but the emissions under true life voltage drop seriously. 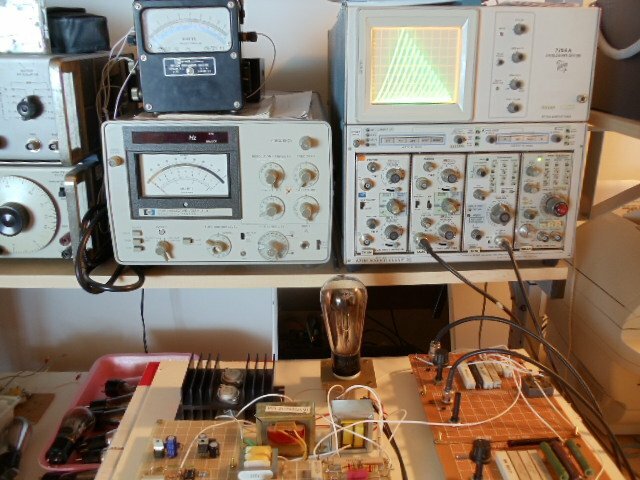 This means around 40 out of 100 used tubes have a more beautiful image than truth from tester readings, obviously this will mislead the judgement unless the static plate current test result exposed also. Expose the true tube condition. Fixed bias test to filter out those marginal gassy tubes. Listening test to confirm the sound quality.